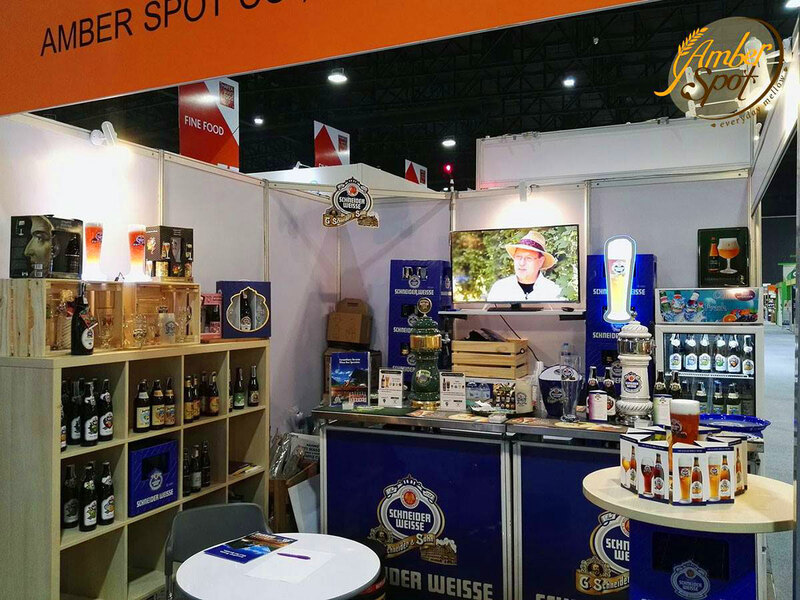 AmberSpot for the first time, showcases Schneider Weisse & Ayinger from Bavaria, Germany and Brugse Zot, Straffe Hendrik & Brasserie de Silly beers from Belgium in Thaifex-World of Food & beverage Asia 2016; the biggest International Trade Exhibition for Food & Beverages, Food Technology and Retail & Franchise in Asia. At the event, guests can chat and talk and off course taste all beer available on draught and bottles plus a little surprise of rare items such as Schneider Weisse Tap X Cuvee Barrique 2015 and 2016. 10 kegs have been emptiedly tapped and a lot of bottles. Thank you for the prospects, customers, friends and fans of all beer especially Schneider Weisse to show all support at our booth. Look forward to Thaifex 2017 and before that new beer; well-crafted beer from indecently owned artisanal breweries from around the world should be following in this year calendar. Cheers!